The world's first city-wide application of the LTE-V2X internet of vehicles went on a trial run in Wuxi, East China's Jiangsu province Friday, an appetizer for the 2018 World IoT Expo scheduled to open tomorrow. The LTE-V2X, built on the LTE-4G cellular network, allows high-bandwidth, low-latency, high-reliability communications of V2X (vehicles to everything), including vehicle to vehicle, vehicle to infrastructure, and vehicle to pedestrian, enabling a much better traffic flow and safer rides. According to local authorities, the scope of the project now has covered major urban areas, including over 200 intersections, the railway station, airport and some of the major highways in the city, expecting to reach 100, 000 vehicles. Based on the platform, V2X-capable vehicles in Wuxi now are able to access a series of road safety application scenarios, including roadwork warning, blind spot warning, emergency vehicle approaches and assistance with intersection movement. 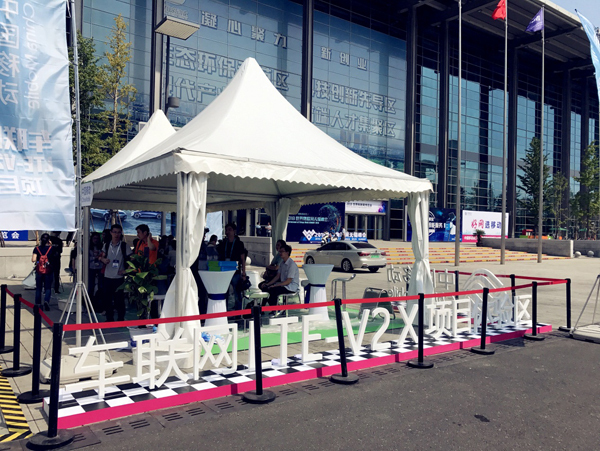 In September last year, the Wuxi government teamed up with China Mobile, Huawei, the Traffic Management Research Institute of the Ministry of Public Security, the China Academy of Information and Communications Technology to initiate the city's pilot LTE-V2X project. A number of juggernauts in the automobile industry such as Audi China, FAW and Zotye Automobile also joined forces for technical tests of LTE-V2X solutions. V2X is widely considered an integral part of the future intelligent traffic system, and is expected to pave the way for fully autonomous driving. The China Economic Consulting Corporation predicted in a white paper issued in late August that the scale of the global V2X market will reach 614 billion yuan by 2020, 200 billion of that in China. The IoV deployment in Wuxi has just epitomized the city's remarkable results in the IoT industry over recent years. Besides transportation, multiple IoT deployments are already in a pilot run in a number of other fields ranging from manufacturing, environmental protection, healthcare, agriculture to education. One such example is the Hongshan town, China's first IoT town. Situated in the Xinwu district of Wuxi, it is designed as a model for future large-scale IoT applications. According to Wang Jingjian, Party chief of the district, over 10,000 sensors have been set in place in Hongshan, enabling the retrieval of timely data concerning city management in aspects of water conservancy, environmental protection and transportation. 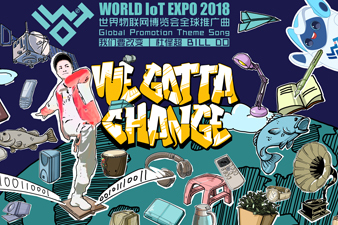 In 2009, Wuxi was designated as the first nationwide hub for IoT development, and since then has been spearheading the fledgling industry. The city, now home to 2,000-plus IoT companies, saw an output value of more than 243 billion yuan ($35.5 billion) in 2017, accounting for 25 percent of the national total.